Broun & Co Grain are a grain marketing and supply company, established in 1996, servicing both grain growers and end-users along Australia’s eastern seaboard. Broun & Co has also become an important link in the stock feed sector providing end-users with feed alternatives that allow them to control their dietary requirements, manage risk and deal with feed shortages particularly during drought. Broun and Co have earnt a reputation over a number of years as being reliable, efficient and respectful of relationships we have built. In addition to these core strengths we have a significant number of growers with whom we have been conducting business for many years. Our marketing activity across a wide spread of commodities allows us to provide competitive pricing on the spot for both growers looking to sell and consumers needing to buy. All the directors of Broun and Co are from a rural background, with some still involved in primary production. They therefore understand the challenges and difficulties that farmers face throughout the production year as well as the nature and technical aspects of agricultural commodity markets. Our experience and availability to talk directly with our customers (both farmers and consumers) allows us to share important market intelligence so our customers can make timely and informed decisions. Our reputation has been built by concentrating on and developing the core aspects of our business. Firstly, payment that is never late, just ask someone who has dealt with us. Secondly, logistics and road deliveries that are reliable and tailored to suit client's requirements. Short notice deliveries and working around wet weather problems are part of our service. We aim to be flexible, orientated towards solving problems and to ensure our customers do not run out of grain at any time. Thirdly, we ensure customers are delivered the grain quality they have contracted. At Broun and Co Grain we value the relationships with our customers very highly. This is the cornerstone of our strong and reliable business. We aim to work closely with our customers and their grain requirements so as they can streamline their supply and achieve cost savings. We are doing our job when we can take the stress out of our customer's business. We have a large database of farmers with whom we have been conducting business for many years. 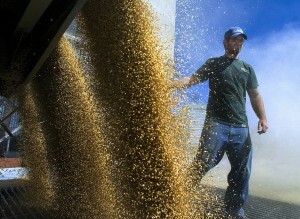 The implication of this is that we are able to accumulate large volumes of grain. We also help growers with their marketing decisions by providing timely market information and advising on market trends. Our geographic reach and density of suppliers allows us to be consistently price competitive across a range of locations. 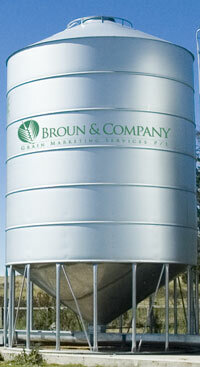 Broun and Co Grain has a history stretching back to 1996 when the company was founded by Wal Broun. At that time Wal had a background in commodity and currency trading and being from a rural background, saw a need for an efficient and reliable grain marketing company in northern NSW. The company grew quickly over the next few years taking on employees and developing long-standing relationships with graingrowers and consumers. From the early 2000’s forward the company enjoyed steady growth and volumes increased. Other grain trading companies, both large and small, have appeared and disappeared over the years since Broun and Co has been established. Broun and Co has adapted as required over time and continued to stay relevant and maintain our high service level to customers. The pillars that Broun and Co was established on, namely, payment that is never late, operating in an ethical manner, a conservative approach to risk management and effective pricing over a wide range of commodities, endure to this day. Early in 2014 Broun and Co welcomed two new shareholders to the business; Charlie Coventry and our long-standing operations manager, Jon Bennett. We look forward to the future with great enthusiasm. Wal is the founding Director of Broun & Company which he established in 1996 after working in the grain trading industry for 5 years. He has a degree in Agricultural Economics from Sydney University and a Grad Dip of Business Studies from UNE. Wal’s experience covers grain marketing and trading, commodity price risk management, business management, governance, logistics and storage, and currency hedging. Prior to being involved in the grain industry, Wal worked in banking as an international currency trader. He is from a rural background in northern NSW and still operates a cattle breeding operation on the New England tablelands. Jon Bennett has been an integral part of the Broun & Company business since 1999 handling the accounting and logistics areas. He has been heavily involved in agribusiness since growing up on his family’s property at Guyra and jackerooing in Central Queensland. Jon then spent two years travelling overseas working in agribusiness in NZ, Canada and the UK before completing his farm management studies at Orange Agricultural College. He has been involved in the Grain industry since 1989 when he managed Ron Billings Grain and Produce business at Guyra. Jon is now a Director and the Operations Manager at Broun & Co, handling Accounts and Freight. Charles has been a Director of Broun and Co Grain since April 2014. 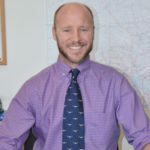 Charles grew up on a sheep farm East of Armidale and has a degree in Agricultural Economics, a diploma in Financial Management and a diploma in Technical Analysis. 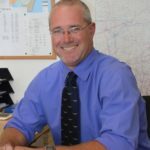 Charles has worked in Asia and has been involved in the grain industry since 1997, spending most of his time in the grain industry with GrainCorp prior to joining Broun and Co. Charles’ experience spans across; grain procurement, grain logistics, trading, price risk management and strategy. In a senior leadership position at GrainCorp as Head of Domestic Marketing, Charles was a member of the GrainCorp Leadership Group, the Marketing Leadership Team and the Storage and Logistics Senior Leadership Team. Charles is also a Director of Achill Station Pty Ltd, a livestock grazing property East of Armidale. Graham was born and raised in Warialda, NSW, before completing a Bachelor of Business, majoring in Information Technology through Southern Cross University at Lismore. He worked in Sydney for a number of years in both the Information Technology devision of retailer David Jones and then in the area of Vocational Training, assisting employers and their apprentices to complete their training. Graham returned to the Armidale area in 2008 to continue working with business’ and their apprentices. Graham commenced with Broun and Co in March 2015 as the Logistics and Contracts Co-Ordinator. Graham currently resides in Walcha and enjoys playing golf and has a keen interest in motorsport. He is a member of the Armidale Dam Dragons Dragonboating club, regularly competing at regattas along the NSW North Coast. Relationships with growers are the signature of our business. Grain growers are the most important link in our business and as such we make every effort to maintain and foster relationships with grain growers. We strive to look at the whole grain complex through the eyes of the grower and do what we can to solve problems, something larger companies often struggle to do. Broun and Co conduct their business in a friendly and professional manner and provide competitive pricing across a range of commodities. We provide a fortnightly market update with pricing and commentary covering both domestic and international markets. In order to provide competitive pricing for grain growers it is important to form close working relationships with end users, something we have been able to achieve with many of the feedlots, stockfeed manufacturers, millers, dairies and graziers we supply. The majority of our buying is concentrated on wheat, barley, sorghum and corn, but we are also active in faba beans, lupin, canola, chickpeas, triticale, cottonseed, sunflower, soybeans, birdseeds and linseed. Broun and Co Grain Pty Ltd supply a range of consumers with grains, oilseeds and pulses predominantly across Australia’s eastern seaboard. Our large database of over 1200 grain growers in NSW, allows us to accumulate and supply commodities to our customers in large volumes if required. Whilst price and quality are obviously important considerations for any consumer, we also understand the importance of adhering to delivery schedules required by our customers. We have a reputation for providing a reliable and efficient freight service for bulk deliveries through our relationship with selected freight-providers who have been tried and tested over many years. Over the last 18 years Broun and Co have developed a large network of over 1200 grain growers across Australia’s Eastern Seaboard which allows us to source large volumes of stock feed grain at competitive pricing. By transporting grain, pulses and cottonseed direct from farm/gin to you the consumer, we eliminate the additional cost incurred from double handling. We understand the requirements of graziers and pride ourselves in providing a timely delivery service that is personal, well executed and orientated to solving problems. 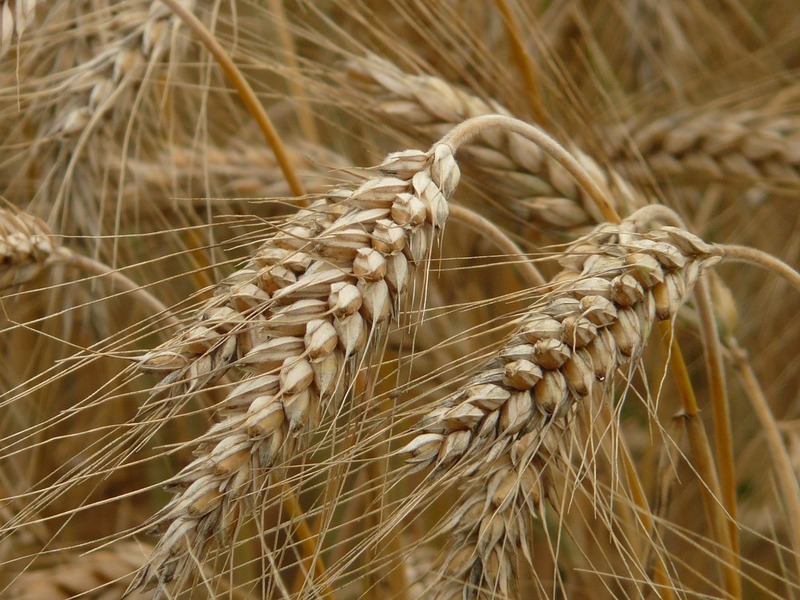 We operate under the Grain Trade Australia specifications which guarantees grain quality. These specifications are available under the ‘Useful Forms’ section of this website. Our deliveries are available in sizes ranging from 25-40 metric tonnes. Cottonseed is an oilseed produced from the ginning of cotton from March to July each year. It is the most popular feed supplement for ruminants (especially cattle) on the Northern Tablelands of NSW providing high levels of both protein and energy. It is easily handled and does not require silos or augers for storage. Due to the large nature of the seed, it can be fed directly onto the ground in piles or trails. Much of the energy of cottonseed comes from its 16–21% oil content (from the seed only, without lint). The high oil content limits the proportion of cottonseed that can be used in the total ruminant diet. When feeding cottonseed it is therefore necessary to ensure adequate amounts of roughage are available. 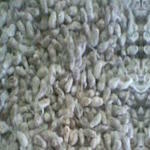 Recommended intakes of cottonseed are in the order of 10–20 per cent of the total dry matter intake and certainly not more than 30%. Levels above 30% will upset micro-organisms in the rumen reducing digestibility and leading to ill-thrift. Generally ruminants will self-limit their consumption of cottonseed because of the oil content. 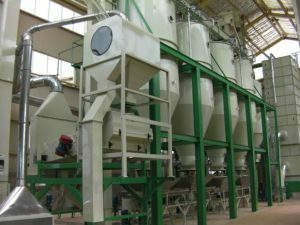 The addition of 1% lime when feeding aids in the utilisation and digestion of cottonseed. In a non-drought situation, paddock feed in the form of standing dry grass is usually adequate however during drought when paddock feed is gone, adequate roughage will need to be provided. Faba beans are a winter pulse crop grown throughout the grain belt on the eastern seaboard of Australia. They are harvested in October/November each year and have a protein content of 24-26%. Faba beans are primarily grown for human consumption but often find their way into the stockfeed market. In recent years faba beans have become very popular for trail feeding to sheep as they are a large size (about the size of a baked bean) and there is little wastage. 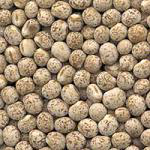 They are usually priced very attractively compared to other high protein pulses such as lupin and like lupin they store very well. They are however more susceptible to in-crop heliothus damage and the beans that find their way onto the stockfeed market often have a small amount of heliothus damage. This in no way affects the nutritional value of the faba bean. 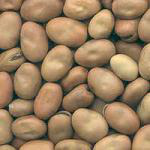 They have a high starch content and are therefore a good source of energy. When blended with corn in a 25:75 mix this makes a very good ration for ewes. Care needs to be taken when augering faba beans. Because of their large kidney-shaped size they have a tendency to become wedged between the flights and the barrel of the auger. This mainly happens in smaller diameter augers (less than 6 inch) and can be avoided by reducing the flow of beans into the auger. Barley has a digestibility of 50-60% however CSIRO studies have revealed that rolling barley can increase digestibility to 80-90% as long as adequate roughage is included in the diet. 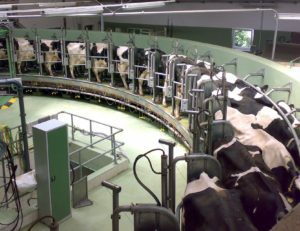 The energy value of a feed can be measured by its metabolisable energy content (MD), expressed in megajoules per kilogram of dry matter (MJ/kg). Metabolisable energy is calculated from feed digestibility and estimates the total energy available to the animal. 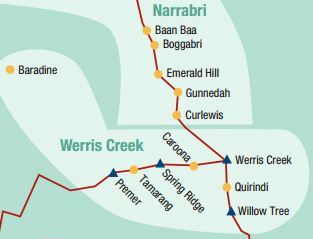 Wheat is a winter cereal grain grown extensively throughout Australia’s grain belts. It is harvested in November/December each year. Wheat is a low fibre grain making it highly digestible and capable of delivering high levels of animal production when fed correctly. The rapid rate of starch digestion means that considerable care must be taken when feeding wheat in order to avoid acidosis and reduced or erratic intake patterns. 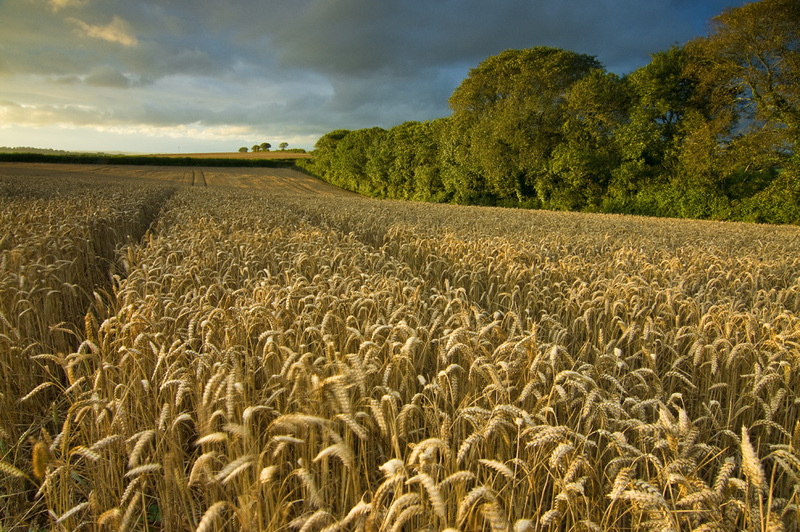 It is recommended that wheat should make up no more than 40% of the diet. Wheat should be fed in conjunction with more fibrous or slowly fermenting grains such as barley and with adequate roughage mixed through the ration. 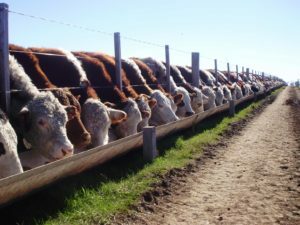 It is important to adapt cattle to wheat so that over-consumption is avoided. 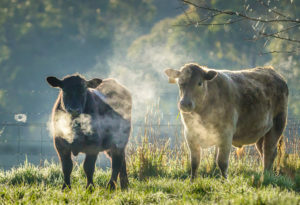 Adapt cattle by introducing wheat into the ration at low levels (10 to 15% of the diet) and increasing the level in steps or increments (10, 20, 30, up to 40%) after a period of one to two weeks of constant intake and appetite. The addition of 1.5% lime in the ration will help digestion. Wheat will deliver strong results when careful attention is paid to feed processing, ration formulation, and feeding management. 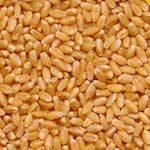 Wheat has a digestibility of 60-70% when fed as a whole grain. CSIRO studies have shown that cracking or rolling wheat will increase digestibility to 80-90% when fed to cattle with adequate roughage available. 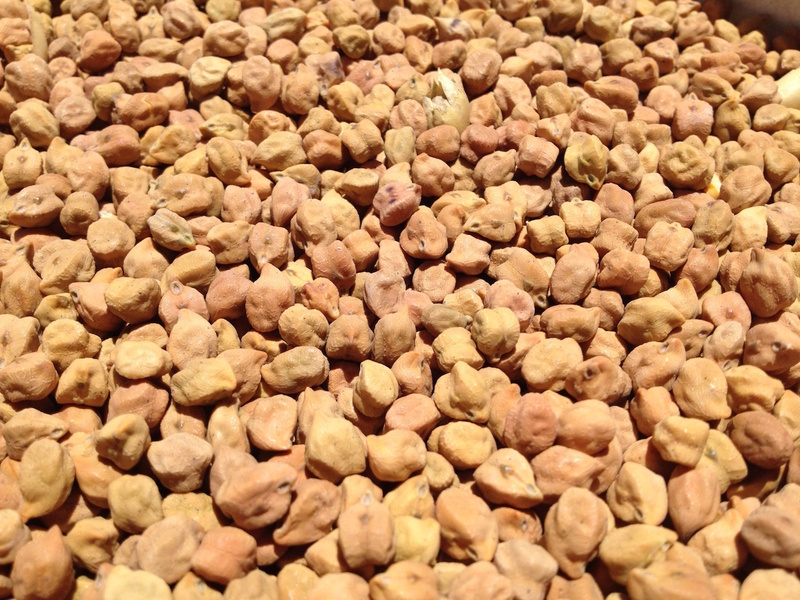 Lupin is a winter pulse crop grown in central and southern NSW. It is harvested in November/December each year and has a high protein content of approximately 30-32%. Lupin have a very tough outer kernel and therefore store exceptionally well. 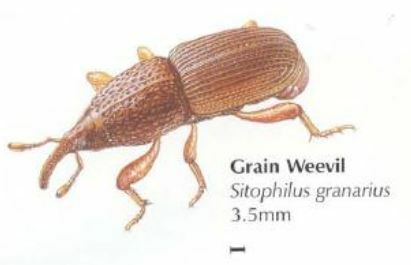 Weevils are not able to penetrate the kernel however they can live in the dust and foreign material. There are two types of lupin. Firstly, the broad-leaf varieties (mainly ulbus, ultra and keiv) which are larger and slightly higher in protein (only about 1%). Secondly, the narrow-leaf varieties (mainly gungaru and merit). The broad-leaf varieties are usually more expensive because they are grown for the human consumption market. Most deliveries for stockfeed are the narrow-leafed varieties and they are well suited to trail feeding on the ground. Because lupin have such a high protein level they can be fed in lower quantities to achieve the same result. 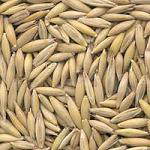 Oats are generally a lower quality feed grain that tend to be quite variable in their quality, protein and energy levels. Howevercthey have some characteristics that make them particularly useful in some situations. 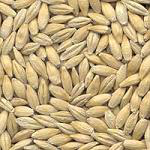 Firstly, because they have a lower energy level, acidosis (grain poisoning) is generally not a concern. Secondly, they have a high fibre content which means they are a good source of roughage during drought. Rolling oats for sheep or cattle increases digestibility only marginally and is generally not necessary. Energy levels of oats increase as their volumetric weight increases. Generally, a weight of at least 38 lb/bu. is required to provide a useful level of energy. Grazing varieties of oats often have volumetric weights below 35 lb/bu. meaning that these types are really only useful as roughage. Oats alone can be fed to ruminants for maintenance. However, supplementation will be required for high levels of performance in growth, fattening and lactation. Corn is a summer crop harvested from late January through until June each year. It has the highest level of metabolisable energy (ME) of all grains (14%) and hence is a very popular feed for ewes in late pregnancy when energy demands are high. 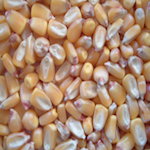 Protein levels of corn depend upon growing conditions (including soil type and fertiliser usage) and whether the crop was irrigated or dryland. Irrigated crops tend to have a larger grain size but lower protein level, while dryland crops are generally higher in protein but may have a smaller grain size. Protein is in the range of 8-12%. Cracking corn for sheep is generally not necessary as the corn is cracked by the sheep during consumption. Sorghum is a summer crop harvested from late January through until June each year. It is primarily used as an energy source as it normally provides the cheapest form of energy in a stockfeed ration. 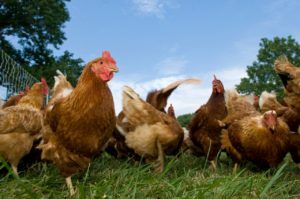 It is therefore a popular component in poultry and feedlot rations. In an average year sorghum is usually the cheapest grain available but it is often relatively low in protein ie. below 9%. Because it has a relatively small grain size there is a higher than normal wastage factor if sorghum is trail fed on the ground for sheep or cattle feed. It is better utilised when fed out of a trough. The digestibility increases by rolling and increases markedly by ‘wet’ processing (steam flaking, reconstitution). The general rule for rolling grain is that smaller grains (ie sorghum) deliver the most benefit when rolled, especially when fed to cattle. Sorghum grain is ideal for cattle for the Japanese market because it promotes pearly white fat with ideal texture. Broun and Co Grain Pty Ltd supply a considerable number of dairy customers across Central and Northern NSW. Our dairy customers are mostly using; wheat, corn, canola meal and triticale. Because of our relationships with a large number of grain growers coupled with reliable regular transport operators, we can be consistently competitive on price. 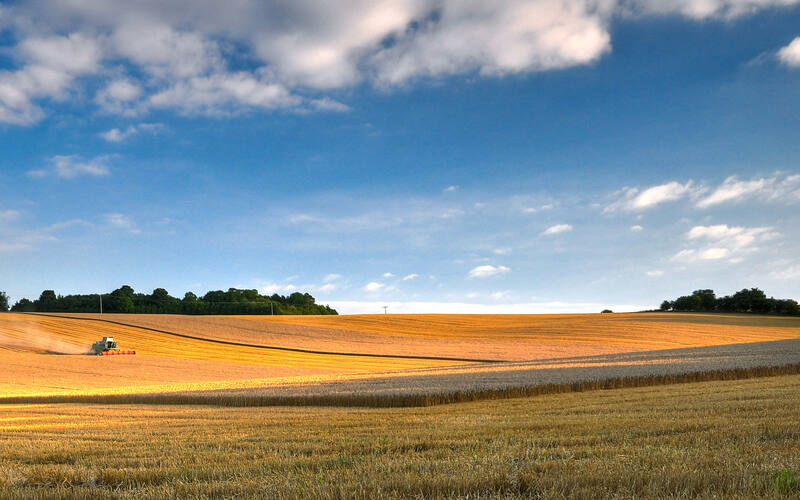 Quality grain with high energy is of critical importance, as are timely deliveries and our 18 years of accumulated experience allows Broun and Co to deliver competitively priced grain to repeat customers on a regular basis. To quote one of our regular dairy customers our grain service “takes the stress out of it for me”. Broun and Co Grain Pty Ltd consistently supply feedlot customers with large volumes of wheat, barley, sorghum and cottonseed. 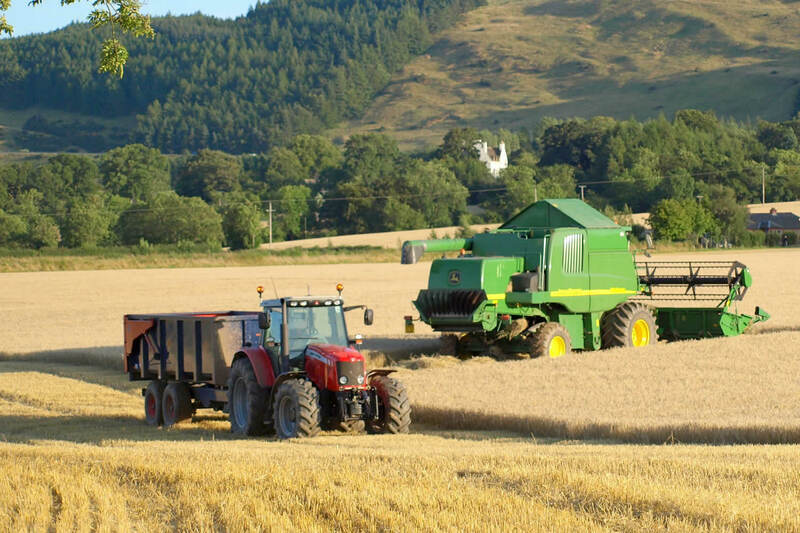 We are able to offer supplies forward on a spread where required and frequently supply grain at short notice when others may fail to deliver. Our accumulation strength from grain growers allows us to position stocks within a local drawing arc for feedlot customers. Broun and Co Grain Pty Ltd support the volume needs of our poultry customers. Our service allows customers to take cover on a regular basis and receive reliable grain quality. Our accumulation strength with grain growers allows us to build up volumes into larger parcels from growers who are willing to ‘meet the market’ and make volume offers competitive for poultry customers. Broun and Co Grain Pty Ltd supply consistent quality to our stockfeed customers on a timely basis. 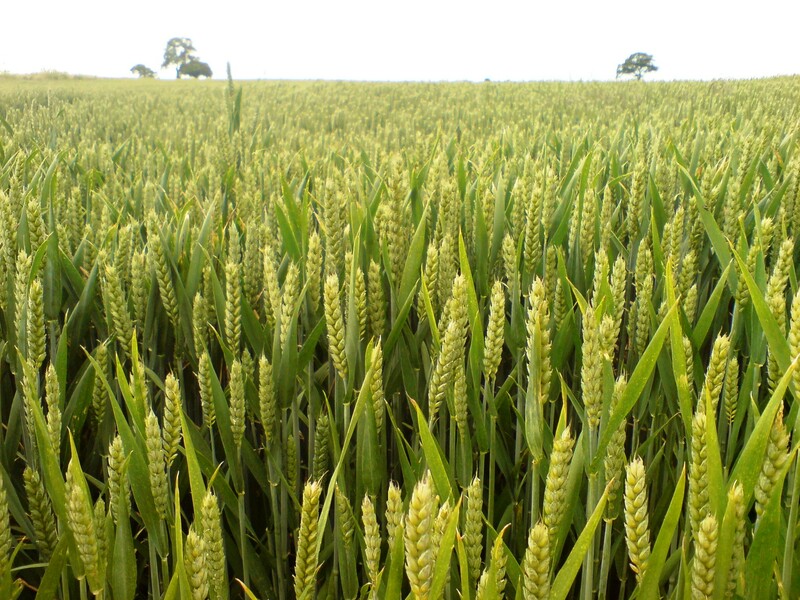 Our customers use a wide range of commodities, including; wheat, sorghum, barley, faba beans and corn. On occasion we also supply our stockfeed customers with lupins, chickpeas, sunflowers, soybeans, oats and canola seed. Our daily communication with growers allows us to provide our stockfeed customers with consistently competitive pricing which is backed up by reliable road deliveries. 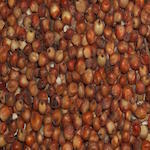 Broun and Co Grain Pty Ltd supply a range of milling and processing customers including flour mills, petfood manufacturers, speciality millers, birdseed processors, corn millers etc. We are able to supply large volumes of milling grade wheat (DR1, DR2, APH1, APH2, H2, APW etc)to millers either via road deliveries or transfers within the centralised storage system. We supply our specialty processing customers with a range of commodities including; gritting corn, soybeans, grey stripe and black sunflowers, linseed, soybeans, milling oats, canary seed, shirohie and jap millet. Our relationships with a large spread of grain growers allows us to get the right quality product delivered in a timely manner. If you don’t have a program to view PDF files in, you can download a free one here. Want to drop us a message? Just fill out the form below and it will get delivered to us as an email.